In case you’ve been living underground, or in a state of firm denial, September begins on Saturday. Summer just seems to whiz by us in a blur. There at the start it seems like it could be endless, days and days of nothing ahead of us and hours of daylight that stretch long in to the night. All of a sudden we turn the page to August, the air changes a bit and the light leaves earlier and the slide to Fall comes fast and quick. The ‘back to school’ photos are showing up everywhere this week, and next Tuesday, after Labor Day there will be tons more. For the first time in 13 years, I won’t have a child in school. It’s both bittersweet and wonderful. There’s a lot of change happening in our household as my boy finds his way in this world. There is one constant with us now, as the tables turn from Summer to Fall and schedules become more prevalent, and that’s the staggering, loaded tables of the Farmers Market in it’s most bountiful season. Even though I know this to be true, it still boggles the mind when I gaze around me at the wonders that came from the soil, the simple act of placing seed in dirt, with faith, water and sunshine, and a plant that we can consume grows before our eyes. Water washes the dirt away and we take knife to vegetable flesh, some raw, some cooked and all delicious and perfect. I love when people share photos of their CSA bounty, the excitement clear in their words. What a blessing we have in the bounty of such a plentiful season. But the question remains; how much eggplant and zucchini and tomato and corn and EVERYTHING can we consume, in all honesty? What’s next for the buckets of peppers? The endless greens? Oceans of onions? If you time your visit to the Farmers Market just right, the vendors tend to give away and handful of extras when you buy something, just to move it along. I’ve often staggered home under the weight of such visits, dumping out my bags on to the kitchen island to survey and ogle and dream and scheme. And I’m happy to share my findings. 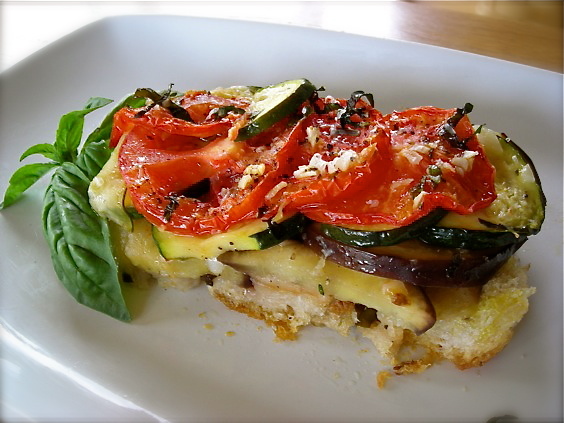 The bread base alone in this dish is incredible, but the meltingly good, thinly sliced veggies on top of it become so soft and tender from the oven that your fork slips through it without a second thought. Get out the good olive oil, round up your fresh herbs; this dish should be in your meal plan now. 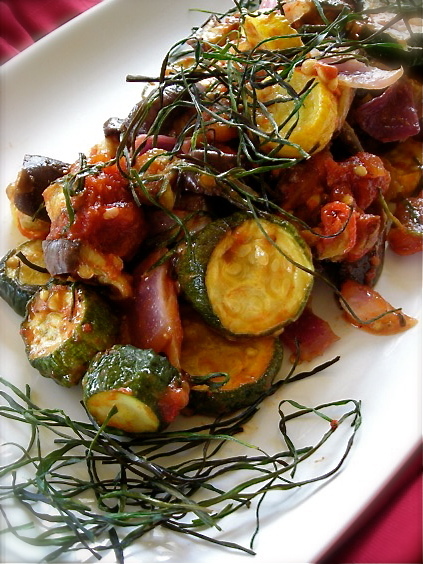 There is surely no shortage of recipes for Ratatouille, and countless ways to pull together this classic and rustic dish. This roasting method was a favorite way to use up zucchini and eggplant last year, bringing out the sweet flavors and the topping of crisp chives added such a perfect extra touch. 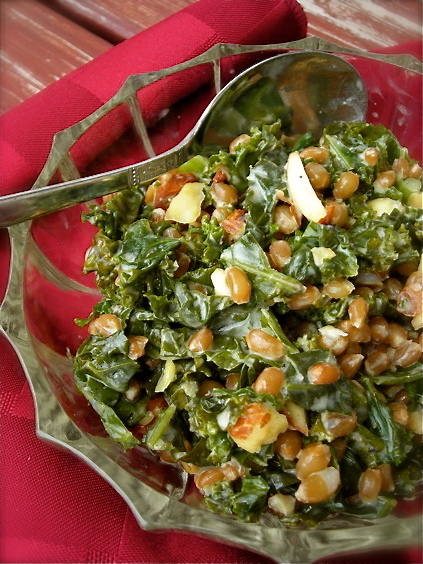 Simple and quick, although not the prettiest, any hearty green can be used, along with any grain. The versatility of this dish is one of it’s best appeals. Plus side? It’s good, fast and hearty without being heavy. 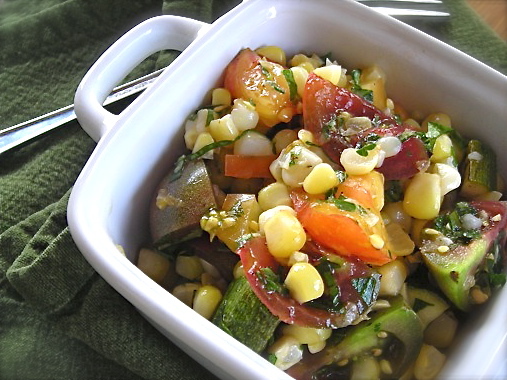 As fresh as you can get, and beautiful to behold, this salad spotlights all the gorgeous tomato varieties available, resplendent with fresh herbs and crunchy sweet corn. It’s perfect for any remaining hot Summer days. 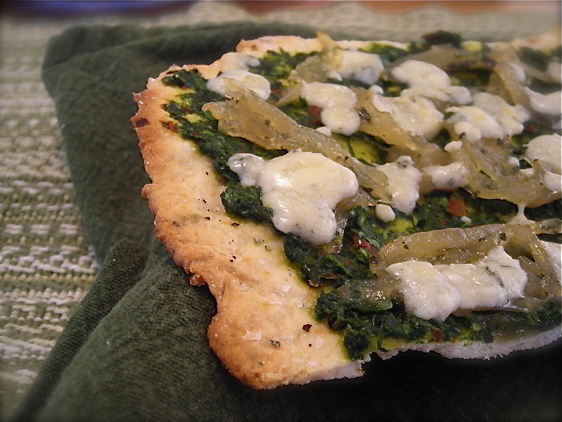 A bit futzy, as you make both a pesto and this delicate herbed flatbread, PLUS caramelizing a pan of onions, but put them all together and it packs amazing flavor. 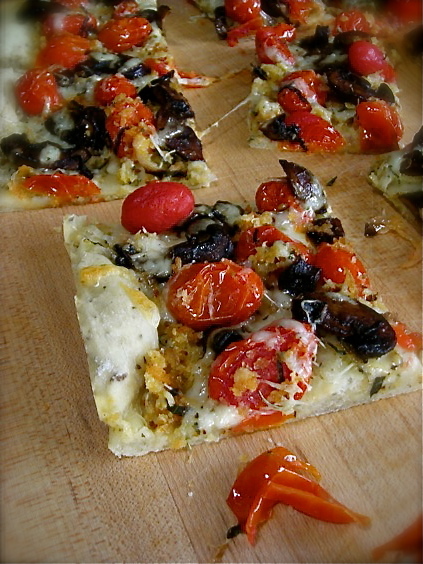 Use a good cheese and say Hello to an elegantly done meal or appetizer. This was, hands down, one of the best pizzas I’ve ever made at home. I could not get enough of it and ate far more than would be considered reasonable, but that’s how good it was. And once again, it requires a few steps ahead of putting together the final result, but every moment spent creating this pizza is well worth it. There are SO many more recipes and simple dishes to put together that I could share with you but I think I will save those for another post in order to not overwhelm you. This bountiful season will continue, and of one thing I’m certain, we’ll all need lots more inspiration before the end is in sight. The bounty is amazing! It makes me down right giddy. Then when my fridge is full, I become overwhelmed and have no idea what I was thinking going overboard. Then I figure it out. 🙂 Thanks for the recipe ideas!